Installed on aboveground storage tanks for the purpose of containing small spills and drips from the fill nozzle. 7� gallon capacity. 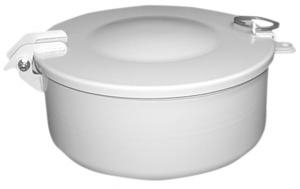 Lockable with drain valve and vented lid. Connects to 4" male (NPT) riser, and is white powder coated. These are now available with either male or female threads.